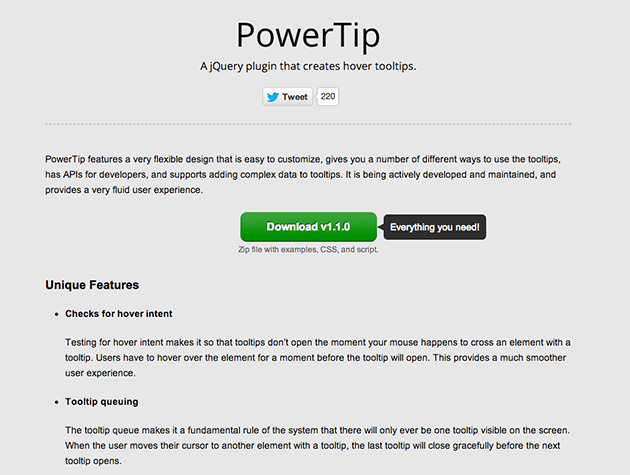 A jQuery plugin that creates hover tooltips. PowerTip features a very flexible design that is easy to customize, gives you a number of different ways to use the tooltips, has APIs for developers, and supports adding complex data to tooltips. It is being actively developed and maintained, and provides a very fluid user experience.